When it was announced that Jon Stewart was leaving his post at The Daily Show, chatter of who would become his replacement became instant and rampant. Still one name was on the tip of tongues and minds on who should be his worthy successor, and that name was none other than the show's whip smart correspondent, Jessica Williams. While it's a bit of brilliant fantasy casting, Williams had other thoughts as she pretty much held up her hands and said, 'thanks but no thanks', opting to disclose that she felt she wasn't qualified for the position, and truly had no interest in it. That should have been the end of that, but people got way too deep into their feelings via Twitter, jumped the gun, and began to literally badger Williams for a choice that really was well, her own. Things got screwy when one blogger even went as far to 'diagnose' Williams with 'Impostor Syndrome', attempting at vigorous lengths to bend their argument like Beckham in order to shame Williams for her personal choice, and literally forcing her to 'lean in' and 'man up'. So much for feminism, right? Williams is 25 and she already has a career that a lot of us could dream of. She's actually three years younger than me, and you bet some my emerald jealousy shows whenever she unleashes a hilariously witty line and effortlessly doles out biting social commentary whenever she pops up on The Daily Show because #howdoesshedothat? Still I'm somewhat mature enough to turn my jealousy into admiration as I truly respect her comedic craft and for being able to be young and still so aware of herself, especially when it comes to how she envisions herself in her career. She knows she's got a whole lot of life to live, still a lot dues to pay, and experience to pack on, and that being the host of a nighttime talk show is just not what she feels she should be doing right now. Simple as that. This is always why I chortle -- yes, chortle --- on how some feminists, all while preaching solidarity, make it so dang difficult for everybody as they police their fellow feminists on the act of choice. Choice is one of feminism's basic concepts yet there they are informing others on what is the so-called "correct" way to live the feminist lifestyle, when they have absolutely no personal bearing on it. I like to think of feminism as if I'm flipping through one of those Choose Your Own Adventure books. If you've ever read the books (and if you haven't get thee to a used bookstore stat!) you know that with each page turn you're given options and the freedom to choose which option suits you so you can move through the book's journey. You may fail or you may succeed (or flip back and do a re-do, like I always did...) but still, you wielded your own personal of power of choice and that is nobody's business but you and yours alone. I also reserve my chuckles and add in a dash of eye-rolls to the patch of misguided white feminists who soil the feminism title by hypocritically scrutinizing their fellow women of color feminists when they don't adhere to their boxed-in ideals. 'Impostor Syndrome' isn't a made-up ordeal. It's a normal, terribly annoying feeling of inadequacy that happens to a lot of people in high-pressured careers. Yet, Williams doesn't have this. Taking a look at her Twitter responses, she is not one to be pandered to or needs to 'lean in' to anything (especially since 'lean in' is a white picket fence of a fantasy). She has her head screwed on tight with Gorilla Glue sealing it all up. She knows thy self, so --- and to rephrase Williams --- lean the f*ck away from her. True, it's difficult for a woman, and especially a woman of color to get any sort of position in the late-night medium, and with Comedy Central's The Nightly Show making Larry Wilmore the lone person of color hosting a late-night show right now it would be lovely to have Williams take a position that would expose her wit to a broader audience as well as add a little more diversity to the late-night boiler pot. But this isn't another case of racial or gender shunning in the industry --- this is strictly a woman who is in possession of her personal agency, feels she's hasn't paid her dues just yet, and knows what the blazing f*ck she wants. 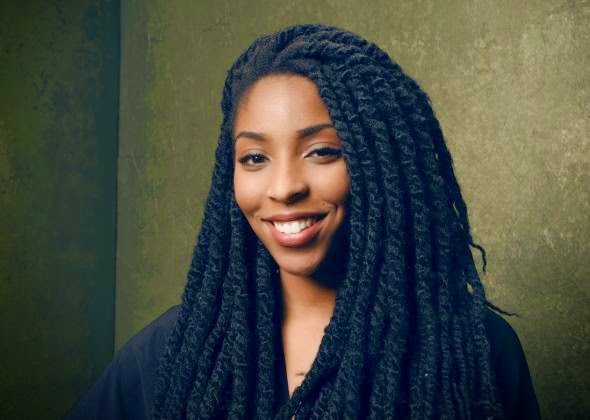 I liked Jessica Williams before, but I love her ever the more now for sticking to her guns and knowing when the time is right for her to do what she sees fit for herself, and I have a belief that the only way is up for her career because of this. So instead of questioning her, we should applaud her for paving the path she chooses, and for stamping out the puddles of misguided white feminist tears by her eloquent responses. We often forget that the matriarchy can be just as detrimental to women as the patriarchy, and it defeats every single purpose when we hurt our fellow sisters and don't allow them the decency to posses their own choices. So check yourself next time you question someone's choices, and don't put them in a corner simply because they took up for themselves.